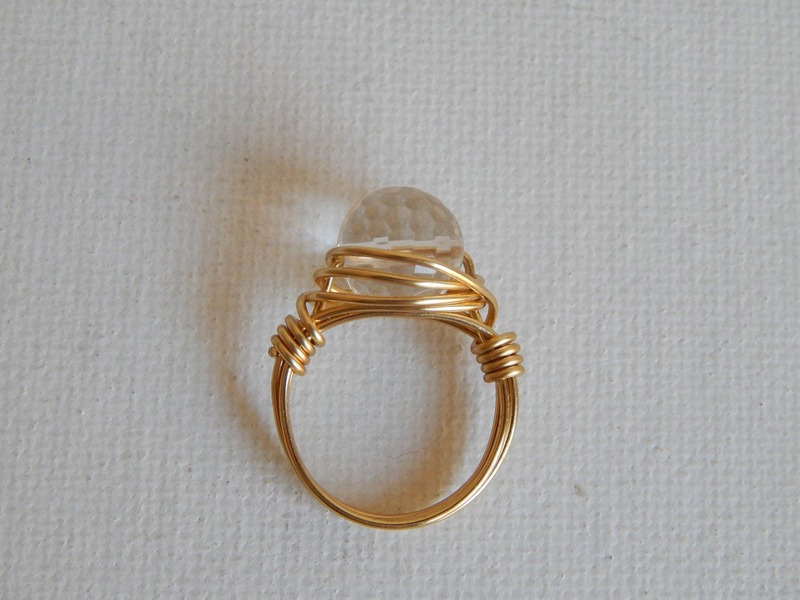 A faceted clear crystal bead is wire wrapped in tarnish resistant gold wire. 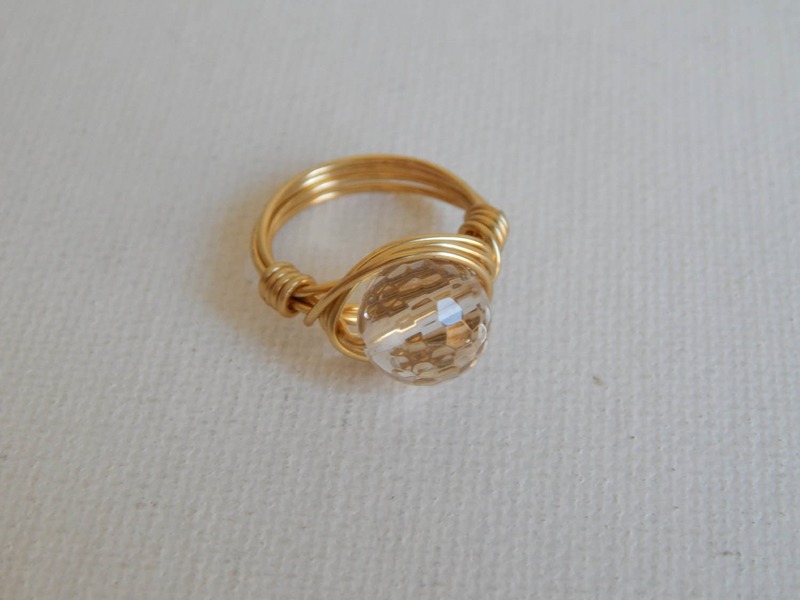 The gold makes a lovely contrast against the crystal making it stand out. 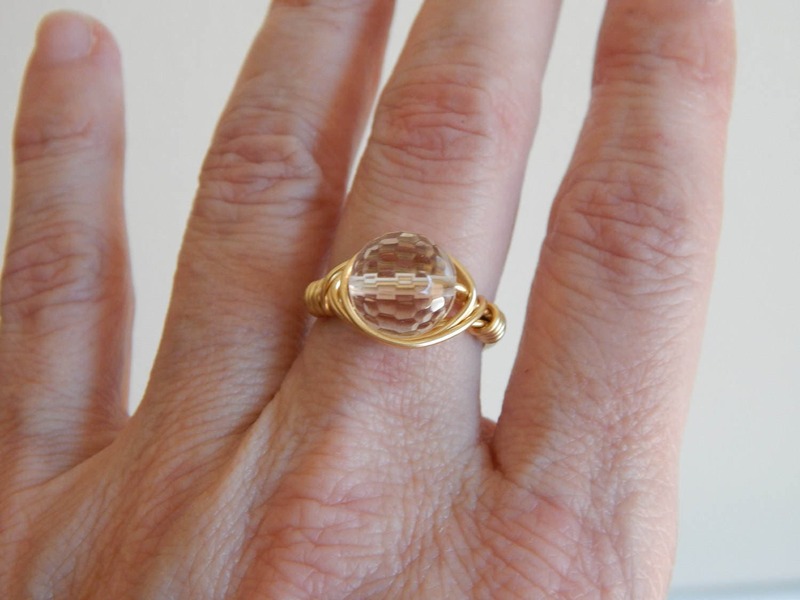 Perfect for everyday wear or makes a wonderful bridesmaid gift. Bead size is 10mm. Can be wire wrapped in tarnish resistant silver wire and comes in whole and half sizes. Just make your selection at checkout.